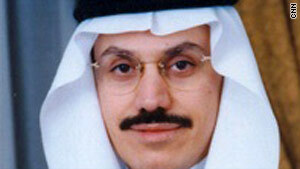 Saudi Arabia's Central Bank Governor, Muhammad Al Jasser discusses the global economy. Amid the global recession, one of the key questions is "Are regulators too interventionist?" The road to Davos runs through Riyadh. That's the pitch at a regional conference held in the Saudi capital. This week in a special edition, Marketplace Middle East travels from the Kingdom to Davos and talks to key business leaders including the CEO of EFG-Hermes and Stephen Schwarzman from Blackstone about the road to economic recovery. Amid the global recession, some of the key questions are: "What is the true role of the government?" "Are regulators too interventionist?" This week in exclusive interview, MME sits down with Saudi Arabia's Central Bank Governor, Muhammad Al Jasser to discuss global recovery and the state of the Middle East economy.